This past Monday, the 26th of March, was Bangladesh’s 41st Independence Anniversary. 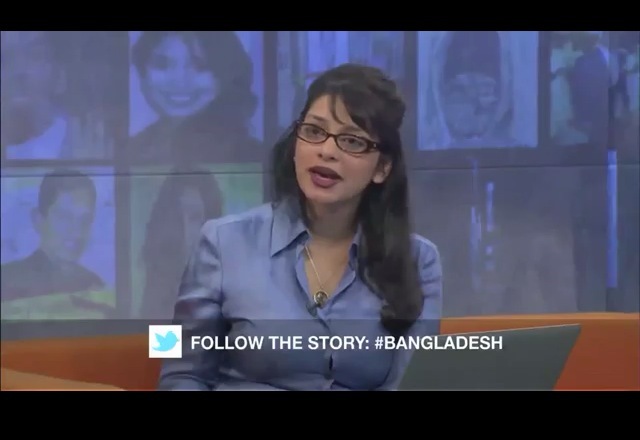 I was so happy that the issue of women’s rights four decades after we separated from Pakistan was featured on “The Stream” on Al-Jazeera. I had worked for months to get this issue on air. Bangladesh is often touted as a “development star.” We slashed our maternal mortality rates by 40%, significant population decline, the success of micro-finance and two decades of back to back female leadership. But none of this can be a testament to female empowerment in Bangladesh if we are failing women at a level of basic security. Acid violence, domestic violence, denial of the rapes that took place in 1971 to almost 400,000 Bangladeshi women, and the recent spike in sexual harassment, aka “Eve teasing,” will all taint the accomplishments of our vibrant women’s movement. Watch the segment & let me know what you think. Previous PostAsma al-Assad: To Shop or Not To Shop? Next PostThe Pinterest Gap: Is Pinning Only For Women? It truly is amazing to notice how far Bangladesh has achieved in the 41 years despite all the corruption & turbulent politics. But the credit should definitely not be taken by us middle-class city-folks who have amassed education, wealth & power yet are content on seeing the poor suffer while the rich gets richer. We have been endowed with a huge population & that has emerged as a blessing for us. Around 2.25 million Bangladeshis are employed in the garments sector making the cloth industry one of the major suppliers in the global market. Among the 2.25 mn. at least 98% belong to the female population so basically the primary source of foreign income for the country comes from the hands of the females. Yet when it comes to wage and development the women are not treated equally with their male compatriots. Females who work side by side with males in this field are given lesser wages and have no trade unions or likewise of their own. Of course formal trade unions have been banned in the country but apart from a few NGOs no one caters to the female workers specifically addressing their needs of pregnancy-leave, maternity-leave & stuff like that. And since most garment owners pay the workers wages less than the minimum wage set by the government, females earn amounts that can barely run their own lives, let alone their entire families. As a result widows & single women parents have a really hard time running their household with all the overtime working & low wages to boot. You could say that our society is at least allowing women to work (just like a part from Monica Ali’s Brick Lane) but allowing women to work in this country has become synonymous with the term ‘capitalist exploitation’. I might not be a feminist at all, but I believe women’s education & fair(notice that I do not use the term ‘equal’; you can label me a male chauvinist for this but there are portions of women’s rights campaign that I severely disagree with) rights for women is the only way forward now for Bangladesh to emerge out as a sub-subservient country within the shortest possible time (& I daresay the country is well on its way as long as it maintains the huge working populace).